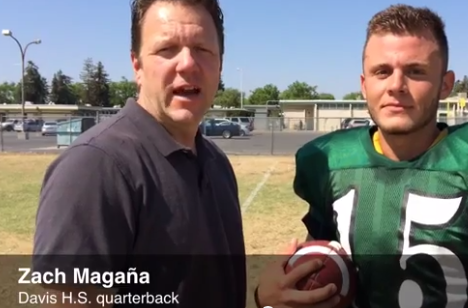 Davis has state's top quarterback, but does it have a chance at the playoffs? 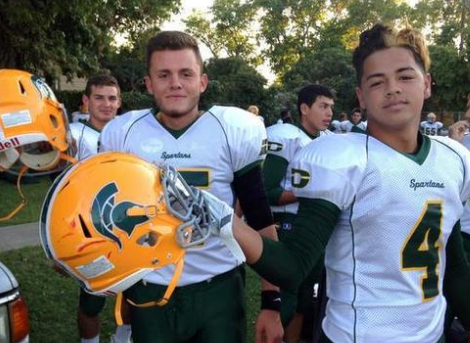 Leading the resurgence for the Spartans is quarterback Xavier Rodriguez, who has blossomed into one of the state’s most prolific throwers under Garcia. Rodriguez leads the state in passing yards with 3,185 yards. He’s also top in the Sac-Joaquin Section in yards per game (353.9), completions (200) and attempts (336), and second in touchdowns with 34. Congratulations to Xavier Rodriguez. 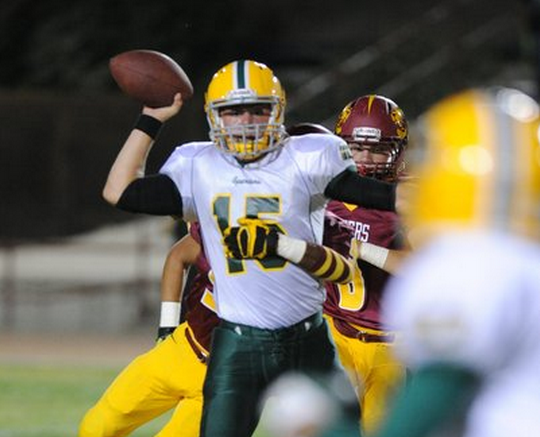 He is NorCal Offensive player of the week He beat the school record for 458 passing yards. Click here to watch his interview. Watch how students were greeted on their first day back to school at Davis High School. Click here to watch the news special. Davis High defensive coordinator Mike Glines talks with players before the start of a summer practice. One of the greatest coaches in Sac-Joaquin Section history, Glines came out of retirement to help long time friend Tim Garcia. Read more about this article here. Many teachers view technology as a distraction in the classroom, but Chris Guptill. Imagine traveling around the world without ever leaving your high school classroom. That's exactly what the students in Guptill's AP human geography at Grace M. Davis High School are doing and we got a first-hand look at the virtual reality technology they're using. Learn more about this program here. Mike Glines, the architect of one of the most decorated high school football programs in Stanislaus District history, will return to the sideline after a decade away. Glines has joined Tim Garcia's staff at Davis High as the defensive coordinator. Glines fills the void left by Matt Chachere, who accepted the varsity job at Ceres. Read more about Mike Glines joining Davis’ team here. Davis’ Lea Anderson has been named the Modesto Metro Conference MVP after finishing second in the state in scoring. Read more about Lea Anderson here. Teacher helps immigrant student find hope, a voice. Award says she's a Life Changer. Christina Welch, a government teacher at Davis High in Modesto, was nominated by student Hind Zeitohn and won a new award in Stanislaus County, the Life Changer. 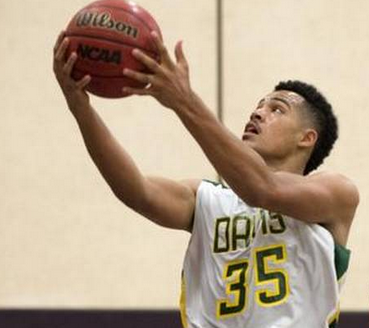 Davis star has back-to-back 50-point games, sets scoring record. One night after taking over the game, Grace Davis High guard Lea Anderson took over the Internet and dominated discussion around the region. News of her 59-point outburst on Tuesday evening against Sierra spread quickly, drawing reaction from competitors, the Sac-Joaquin Section office, and Cal-Hi Sports, the leading authority on California high school basketball. Read more about Lea Anderson. Senior Lea Anderson erupted for a career-high and school record 59 points, guiding the Spartans to a 71-59 victory over the Timberwolves. Read more about Lea’s record setting performance. Read more about this quarterback’s dream. Davis High’s Victor Soria receives the National Read 180 Teacher of the Year! Victor Soria received the honor of National READ 180 Teacher of the Year! He is one of only five teachers across the nation, and the only high school teacher, to receive this recognition. Classes led by criminal justice ROP teacher Scott Ellis processed a “crime scene” – creating sketches and photographing the body, marking a dollar bill, prescription bottles and a driver’s license lying around him as an assignment for Davis High School. Read more about this hands on experience for Davis Students. Davis students got an inside look at Google for the Entrepreneurship Confernece in Mountain View on April 12th. Read more about this exciting opportunity for Davis students. Davis students have been involved in a project from the design stage to implementing a drought tolerant landscape for 3500 square feet of the school’s campus. Learn more about this hands on project from the Ag department. Davis takes its 2-0 record on the road to Ceres, where the Spartans will face Central Valley. Davis coach Tim Garcia launched the Hawks program in 2006, and was recruited to the University of Mary as a player by Scott Edwards, Central Valley's third-year head coach. The Grace Davis Spartans scored in the final seconds to defeat Franklin of Stockton 13-7 at Thursday nights game. Read more about this exciting game. A giant, green, inflatable Spartan mascot holding a shield surrounded by real-life cheerleaders welcomed students on the first day of school at Grace Davis High School. The school is promoting their new program “On The Shield” for positivity on campus. “Honor the Shield is a new initiative aimed at creating a school-wide positive social culture by recognizing students and teachers who demonstrate perseverance, accountability, respect, teamwork, achievement, noteworthiness and success on campus,” Principal Mike Rich said. Read more on this new program at Davis High School. Davis High School senior Borum Long and Roosevelt Middle School eighth grader Mikeala Delgado were named 2 of only 15 recipients of the 2016 “180 student awards,” for making huge gains in math and reading. Watch the news report. Read more about Talolo in the Modesto Bee. Read more about the Jawabra family. Modesto schools are trying to keep young athletes safe in this heat. We continue school coverage from Davis High School. One of the ways coaches are telling their students to take precautions is to stay hydrated that is now, but the day before working out. Coaches are shortening practices. Not a lot of full intensity activities. Drinking plenty of water. “They know if their lower back hurts it means their kidney is working too hard and they need to let me know a right away.” Watch the video on KCRA. #1. Davis-Modesto WR Talolo Limu-Jones: The 6-foot-5, 185-pounder is as good a football player as the city has seen in years. Great hops, long arms, quickness and size … he’s got the build of guy we’d see on TV on a Saturday afternoon. He’s also a quarterback’s best friend. If he can stay physical throughout the game, he could give us plenty of highlights this fall. Read more on BlackHatFootball. Walking onto a high school campus that first time tests the nerves. Teens leading the Davis High early orientation said they remember those fears, and volunteered to help 20 incoming freshmen get their bearings and make some friends. That was the plan for the inaugural Summer Bridge program, a time to figure out where the classrooms are and get to know a few familiar faces – including his, said Principal Mike Rich. During the week, kids went on a scavenger hunt to learn to navigate the campus, taking selfies to show they had found it. “Involving the Associated Student Body leadership was a great way for students to connect to classmates and learn about all the ways students can get involved outside of the classroom,” Rich said last week. Incoming freshmen had the incentive of keeping their school-issued Chromebook laptops over the summer if they attended the orientation, which also helped them set up their passwords and learn computing basics. Read more about the incoming class of 2019. Modestan Chris Guptill is an avid outdoorsman. He enjoys hunting and fishing and hiking through national parks with his wife and two sons. But the Davis High School history teacher’s favorite activity is paddling the Tuolumne River. Rather than wait for one to materialize, Guptill took matters into his own hands. Read more about Chris Guptill. Martin Esho was 14 when he came to the United States from Syria, couldn't speak English and all he knew was the alphabet. Three Modesto high schools and a Calaveras County middle school brought home gold, each earning statewide distinction for a particular program that sets them apart. Two Modesto City Schools campuses were among the 180 schools toasted statewide. Gregori High was praised for its Small Learning Communities, and Davis High won for its Language Institute for recent immigrants. Valley Charter High School earned the honor for its Graduation by Exhibition requirement. Avery Middle School, serving about 200 sixth- through eighth-graders in Avery, was among 193 middle schools honored. It has introduced a number of technology programs, including Hawk TV News, where students create live, daily broadcasts, and has won three Apple Distinguished School awards, notes its website. The state Gold Ribbon program this year takes the place of the California Distinguished Schools Program while California creates new assessment and accountability systems. The distinguished schools program required a strong state testing scores improvement – not possible this year because schools got no state scores for 2014. Read more these schools. Whenever Tami Blunt-Wilkinson felt pressure and base runners surrounded her, she placed her trust in the riseball. “My percentage pitch,” she recalls. Tami Blunt carried herself with a feisty confidence on the softball field, and the Grace Davis High School Spartans followed her lead. Their march to the Sac-Joaquin Section Division I finals in 1992 remains a sweet memory to the more seasoned crowd on Rumble and Tully. But these days, Blunt-Wilkinson needs something harder to hit than a riseball. Stage 2B breast cancer wields a heavy bat. “I talked to someone this week who put me in my athlete’s mindset,” she said. “I was reminded that leaving the game is not acceptable. You have to fight.” Read more about Tami Blunt-Wilkinson. Modesto Mayor Garrad Marsh has named 30 students as this year’s Mayor’s Top Teens. The program honors teens who have demonstrated a strong commitment to serving others, overcome adversity or unique obstacles in life, achieved a significant accomplishment, or served as positive role models for their peers. Following are excerpts from the biographies used in selecting the honorees. Prom can be a priceless experience with – once dress, tux, dinner, tickets and other expenses are totaled – a high price tag. But a few groups in the greater Modesto area are doing what they can to cut one big cost: that of a prom dress. On Saturday, Project Prom will have as many as 1,000 pieces of formalwear – almost entirely dresses, but a small selection of menswear, too – to give away at The Century Weddings & Event Center downtown. At Davis High School, a student-run chapter of the nationwide program Becca’s Closet has a smaller selection, which will be offered up early next month. And in Ripon, the nonprofit Marissa’s Closet – a charitable organization founded in honor of a Ripon High student who died in 2009 – has ongoing hours on Tuesdays and Thursdays during which students can shop for free dresses. Read more about prom dress options. 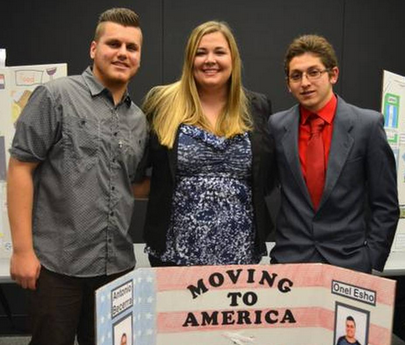 University students and high-schoolers took a novel kind of final exam, displaying joint projects on the immigration experience and comparing how schools work in different countries. This fall, future teachers in the global-studies course at the California State University, Stanislaus, College of Education worked with recent immigrants in Davis High School’s Language Institute. The teams presented their work for comments and grading at the Davis High English Learner Advisory Committee meeting last week. Davis High senior Bobby Posadas, left, braces himself against Golden Valley High’s Austin Welch in the 183-pound class championship during the Riddle Wrestling Tournament in Oakdale on Saturday. Posadas would go on to win the match. 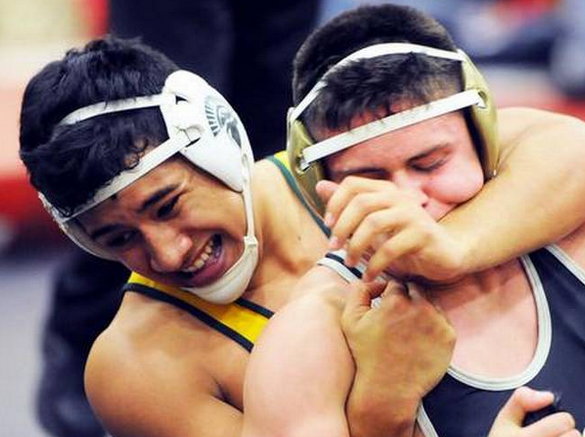 Read more Oakdale Riddle wrestling tournament. The biggest lesson a coach can learn about his team early in the season is to see how it reacts in pressure situations. So when Davis High went on a 9-0 run midway through the fourth quarter to pull within four points of Atwater, Falcons coach Jason Boesch looked out on the floor to sense his team’s composure. And what he saw was pleasing. Davis High School senior Prachi Bulsara doesn’t know much about football, but that doesn’t stop her from enjoying the games. “I don’t know what’s going on most of the time,” said Bulsara, who serves as the Associated Student Body vice president. “But when I hear everybody else cheering, I start cheering.” She’s been cheering a lot this season. After going 8-31-1 since 2009, their last winning season, the Spartans are 4-0for the first time in more than a decade. And, for the first time in years, there’s a buzz on campus regarding the football team. Four years without a winning team might not seem that long, but Davis was once a powerhouse in the old Central California Conference, and a contender in the early days of the Modesto Metro Conference. And the fall was swift and definitive. During Tim Garcia’s postgame interview following his Spartans’ 52-20 thumping of Weston Ranch (Stockton) on Friday, a Davis High School parent interrupted the session to shake the coach’s hand. “You’ve made me one happy dad,” said the parent, who quickly disappeared into a scrum of players, fans, parents and coaches mingling on the Modesto Junior College field. LOS BANOS — Davis High football coach Tim Garcia is trying to get his players to believe that the Spartans can be a team to contend with this season. A 3-0 start is a pretty good selling point. Zach Magana passed 333 yards and four touchdowns to lead Davis to a 27-26 victory over Los Banos on Friday night. Davis led for most of the game, but Los Banos took a 26-21 lead with 6 minutes, 27 seconds left in the game on Daniel Fernandez’s 1-yard touchdown run. The Spartans responded right away. On the first play of the drive, Magana hit Tailolo Limu-Jones on a 71-yard touchdown pass. Limu-Jones made the most of single coverage and took Magana’s perfect pass in stride at about the 20 and cruised into the end zone. With the shift to Digital Davis, where every Davis High student has a laptop to use for the year, it seems like a good time to take stock of how well we’re doing overall on the technology curve. 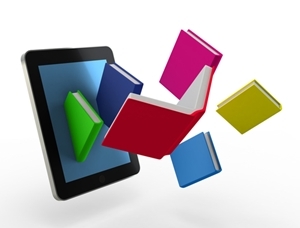 Here are a few thoughts on technology – the learning curve of the cutting edge, if you will. While many folks think of computers and get a reflexive twitch in their fists, this younger generation never has known floppy disks that opened only until they didn’t or the bone-chilling scream of someone who hit one wrong button and watched hours of work flash and disappear forever. 1. (4) Sierra (2-0) – The Timberwolves have outscored opponents – two playoff qualifiers in 2013 – 110-7 this season. Jim Plunkett. John Elway. Ronnie Lott. Bill Walsh. John Madden. Billie Jean King. And don’t forget Andrea Mazza. Andrea Mazza, the 1992 Davis High School graduate who starred at goalie for the Spartans water polo team. Mazza may not be a household name like the others mentioned above, but she is on the ballot for the California Interscholastic Federation’s all-century team. The Modesto Bee's Joe Cortez visits Grace Davis H.S. football training camp and talks with coach Tim Garcia and quarterback Zach Magaña on Wednesday, Aug. 20, in Modesto, Calif.
Teachers who took assignments rather than giving them out this summer will bring new know-how back to the classroom this year. The 35 – mostly high school – teachers had business internships through Stanislaus Partners in Education, a nonprofit that links private enterprise with public schools. Monday, they debriefed, sharing what they gained in their 40-hour placements, and collected a $750 stipend.